Committed to the advancement of renewable energy, Earth Systems provides geotechnical engineering services that support wind, solar, and geothermal energy development. We employ low-impact methods of subsurface exploration and data gathering. Engineering Design Support – geotechnical calculations of stability and stiffness, dynamic analyses, and structural analyses. 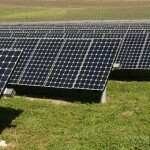 Earth Systems provides a unique set of services to the solar energy industry. Our skills in geotechnical engineering, geology, geophysics, and materials testing and inspection solve the needs of the dynamic nature of solar power generation. Earth Systems understands the challenges presented by solar energy project timing requirements, site access restrictions, and environmental and ecological considerations. In response to accelerated project schedules often associated with solar energy development, our professionals are experienced in completing our services promptly and expeditiously. For projects that are located at remote sites and that are environmentally sensitive, select services can be performed without the need of motor vehicles, using only foot traffic and thereby incurring less impact to the site. Routinely, we interact with specialists such as cultural monitors and biologists to promote the preservation of on-site wildlife and vegetation. Testing and Inspection – pile load testing and inspection of drilled piers and concrete placement. Along with wind, solar, and bio-mass, geothermal energy is considered an alternative or “green” energy source. From the core and mantle of the earth, heat is transferred nearer the surface through magma to surrounding rock. Groundwater heated by the rock forms hot water reservoirs under the earth. In some places the hot water forms hot springs and geysers when it escapes to the surface as water or steam. Geothermal energy resources are tapped for a variety of purposes from lower-temperature uses like heat pumps, bathing spas and direct heating to higher-temperature uses such as electrical power production. 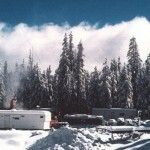 Geothermal is a base load energy; it operates 24 hours a day, every day. 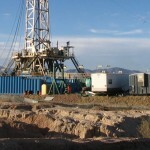 California produces more geothermal electrical power than any other place in the world. This power is used for our homes and businesses. The Earth Systems employs Professional Geologists, Professional Geophysicists, Certified Engineering Geologists and Hydrogeologists who have extensive experience providing consultation and assistance for the assessment and development of geothermal resources. reporting of results and recommendations for development of power plants and direct usage.